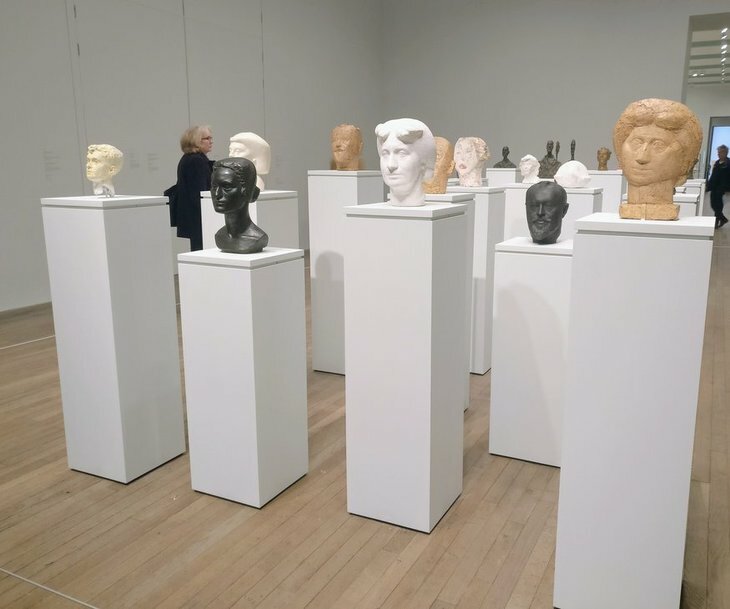 A beautiful array of busts. An elongated figure stands in front of us. It's as if a man has been stretched upwards so that his features have slimmed. He looks almost alien. There's plenty of the trademark Giacometti elongated figures. 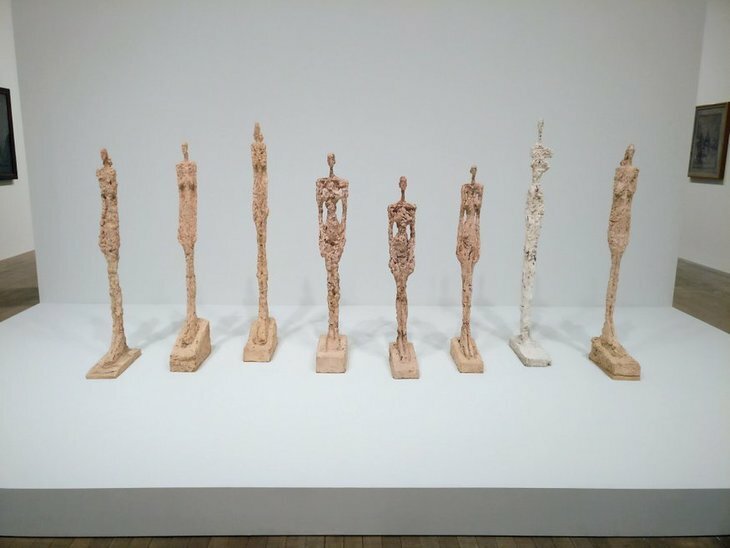 These are unmistakably the works of Alberto Giacometti. His delicate, tall sculptures are some of the most recognisable by any artist, living or dead. A diverse array of sculptures. But to pigeonhole Giacometti as simply a sculptor of spindly figures is to do his portfolio an injustice. This immense exhibition shows every aspect of his works. 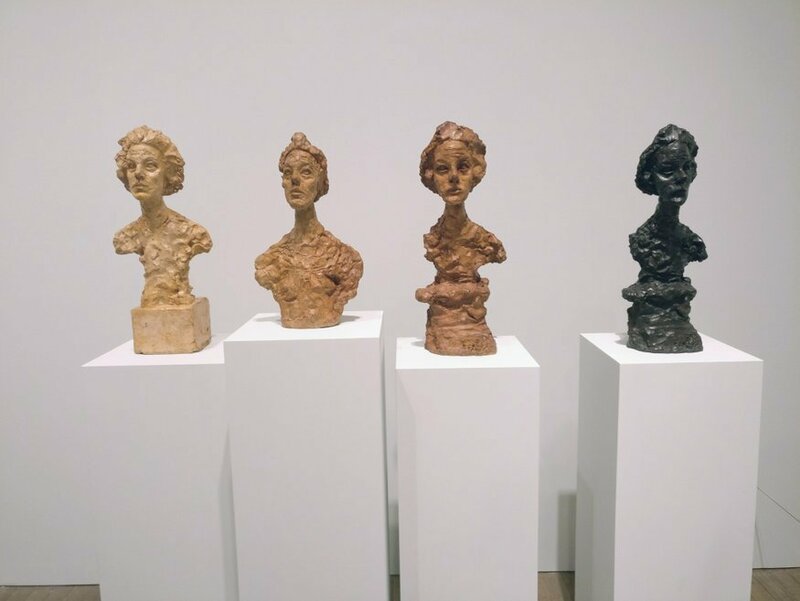 The heads change style just as Giacometti's career progressed, starting with the more traditional at the front. The first room shows just how versatile he was. A series of busts demonstrate that he was just as capable of creating sculpture in the traditional style of Greek or Roman artists, as he was in designing the knife-edged faces that came later in his career. We love these haunting grey portraits. The abstract sculptures are more Cubist, looking like they could have been made by Picasso or Paolozzi. 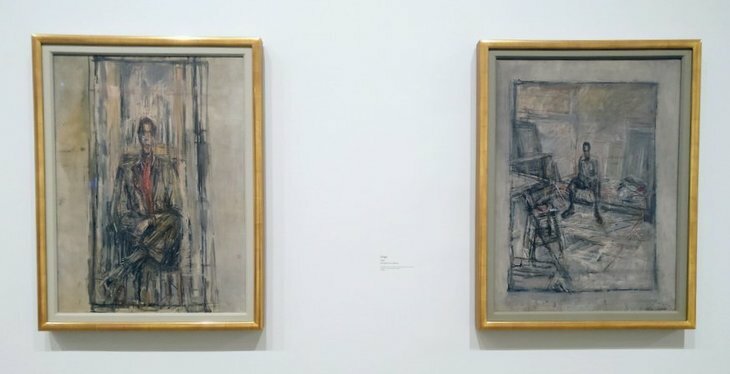 We loved Giacometti's portraits when they were shown at National Portrait Gallery and some appear in this show too. The dark greys and browns create subtle paintings where the hollowed out eyes appear as gateways into the sitter's soul. The Giacometti we know and love. 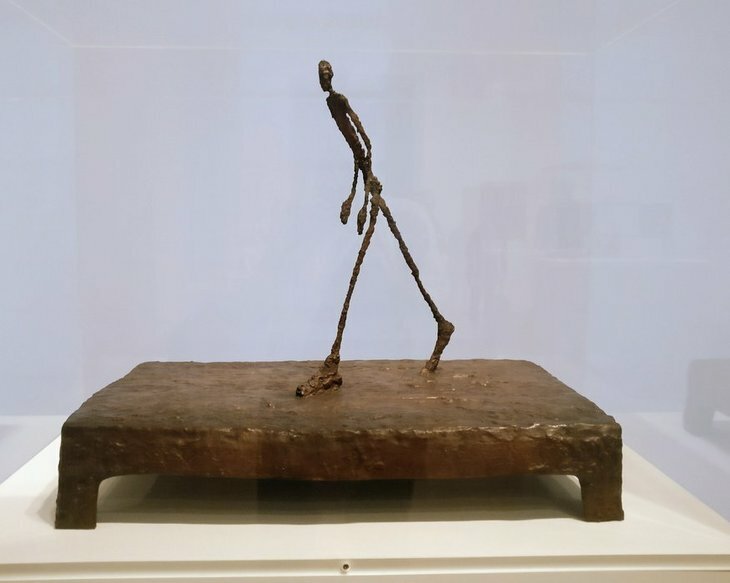 Ultimately, people will come for Giacometti's signature style of sculptures, and thankfully there are lots here. Many of them are stunning busts and statues that capture the essence of the people they are based on, even if the proportions have been purposefully distorted. So many of his signature style works in this show. This is an impressive and extensive show with over 250 works. 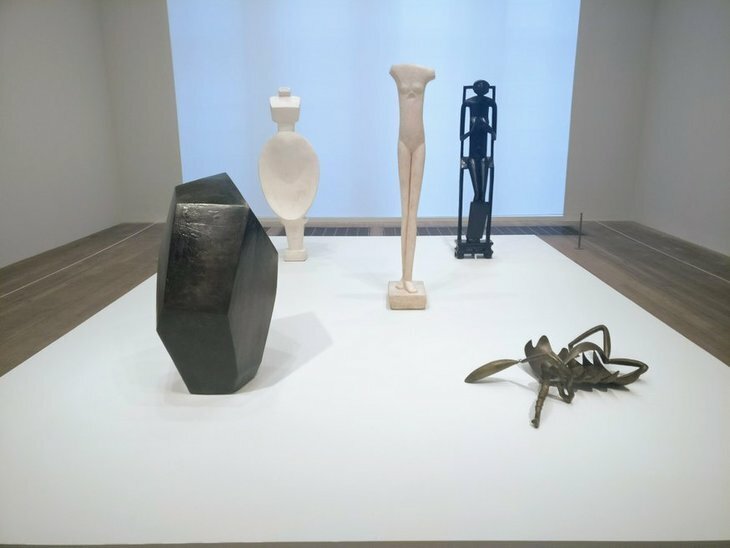 If there's any criticism, it's that there's too much focus on his famous elongated figures — but we're not sure you can ever have too much of these works. It's as comprehensive an exhibition as we're ever likely to see of Giacometti's portfolio. 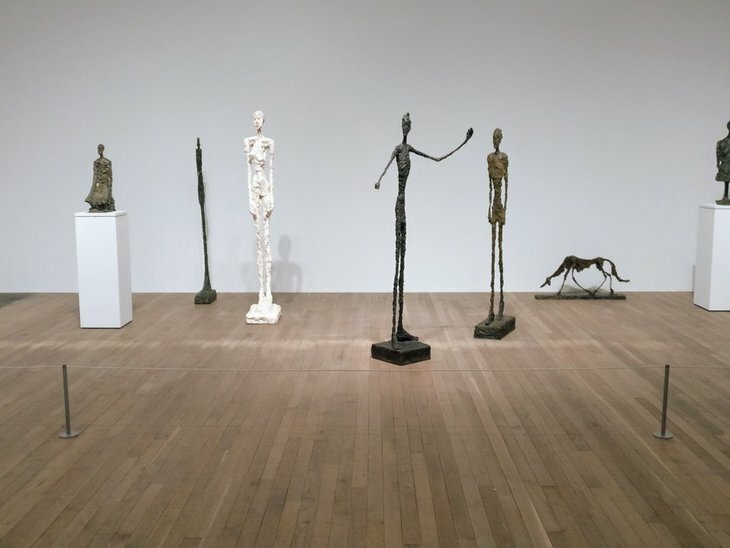 Alberto Giacometti is at Tate Modern from 10 May to 10 September 2017. Tickets are £18.50 for adults, concessions available.